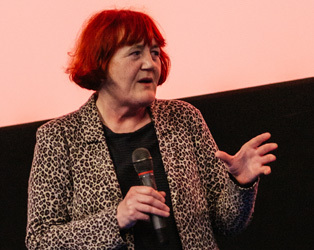 ﻿ Irish Film Institute -Celebrate Haneke’s Amour and win a DVD bundle! Celebrate Haneke’s Amour and win a DVD bundle! Directed by Michael Haneke, Amour will open this year’s IFI French Film Festival, followed by its release at the IFI from Friday, November 16th. A new film from Michael Haneke is always worth celebrating – we’re offering one lucky winner a fantastic DVD & poster bundle to mark its release at the IFI! One expects a film from Michael Haneke to be a sober and harrowing piece, and while this holds true of Palme d’Or–winning Amour, it is also uncommonly gentle, intensely moving, and almost unbearably poignant. Retired music teachers Georges (Jean-Louis Trintignant) and Anne (Emmanuelle Riva) live in pleasant domesticity in their Paris flat. In a series of carefully structured scenes, we witness Anne’s mental and physical decline, and Georges’ unflagging devotion to her care. Celebrate the opening of Amour at the IFI from Friday, November 16th and win a DVD bundle, including Hidden and The Castle, and original film posters for Amour, The White Ribbon, and Hidden. All courtesy of Artificial Eye. Competition closes at 2pm on Tuesday, November 20th. 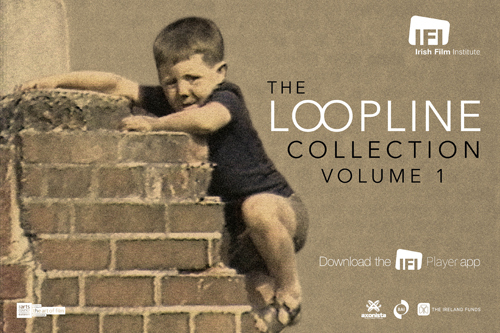 One lucky winner will be notified by email shortly after. 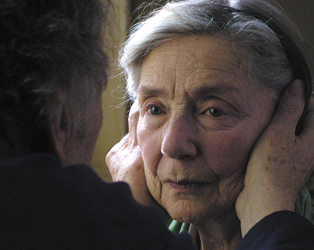 See the film trailer and read our review of Amour.